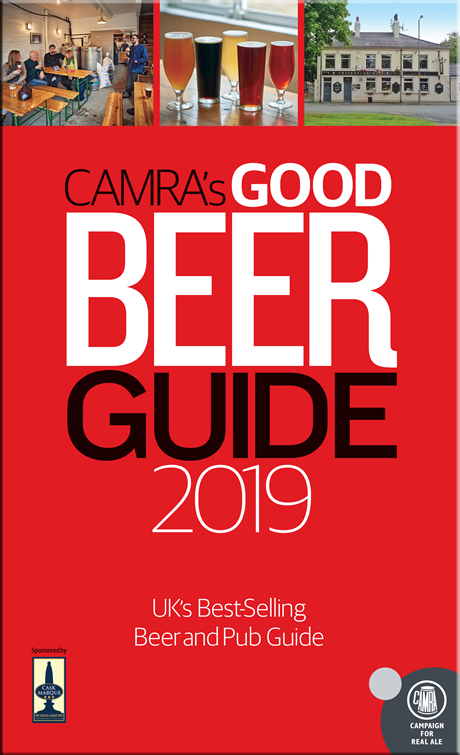 We were CAMRA Dursley and District Sub-Branch Pub of the Year for 2002, 2003, 2004, and 2005 and Gloucestershire CAMRA's Pub of the Year 2004.
in the Good Beer Guide. The idea of ‘LocAle' is to encourage pubs to stock at least one locally-produced real ale with the aim to improve the local economy and knowledge for pub goers about which beers are brewed locally. We were very pleased to receive our certificate from Gloucestershire branch of CAMRA for promoting "Mild in May" for 2006. Chris Arrowsmith (on the right), chairman of Dursley and District CAMRA, is making the presentation to us. 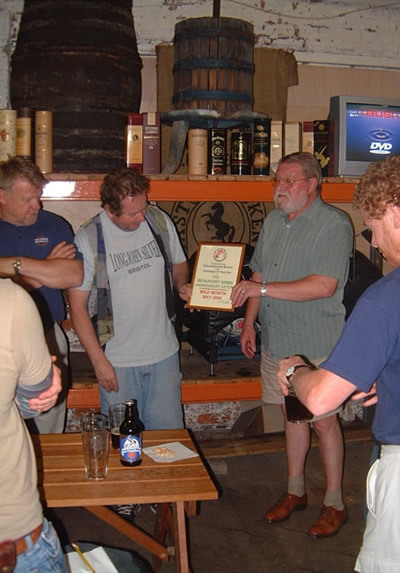 In 2004 CAMRA Gloucestershire gave us the Gloucestershire Pub of the Year award. 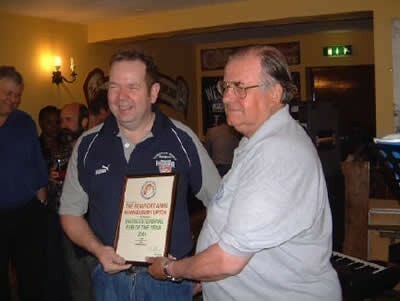 Tony Aburrow (right), chairman of CAMRA Gloucestershire, presented us with the certificate.